If you poured Jameson in your coffee this morning, you're dismissed. The rest of you stick around. It just wouldn't be a proper St. Patty's Day without Irish whiskey—but which one to choose? Here are a few recommendations to help you make that important decision. 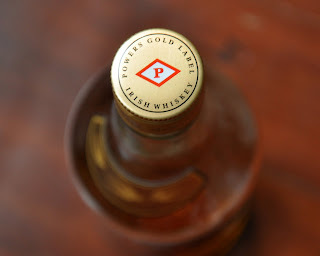 This is my favorite Irish whiskey for sipping. It's smooth, mellow, and almost a bit smokey--if you drink scotch you'll probably like this one. Makes a nice little sidecar for a pint of bitter. If you're definitely looking for a sipping whiskey, go for the Bushmills Black Bush for a few bucks more (okay, about $10-15)--it's even more complex and refined. Yea, we all know Jameson. It's good. Solid. There when we need it. When there's no Jameson in the house it just feels wrong. Good for mixing with just a enough kick to shine through. For a step up, give the Jameson 12 year a try—you'll want to sip this one, and maybe break out a cigar. Of the whiskeys here, this one is the sweetest. Very smooth, almost a little too sweet for me. (But, since the bottle is almost empty, I must not harbor any hard feelings towards it.) It's been known to hang out beside a pint of Irish stout and be perfectly happy. Redbreat is possibly the finest Irish whiskey out there today. I'd happily put it up against others twice or three times the price. Patty is the shortened version of Patricia, Paddy is Patrick.